4:39 PMNEW YORK — During a Fashion Week in which Gucci faced public condemnation for selling a blackface balaclava, a label co-founded by two black women celebrated the African diaspora and the Ghanaian Year of Return. “This year we celebrate the idea of going back home and returning with love and compassion,” said Studio 189 co-founder Abrima Erwiah after the presentation of its first fall/winter collection. She noted that 2019 marks the 400th anniversary of the first arrival of enslaved Africans to North America. The clothes and accessories of Studio 189 come from artisans in Ghana. The country’s president, Nana Akufo-Addo, declared 2019 The Year of Return, an invitation to members of the African diaspora to visit their roots, especially those descended from enslaved people forced to cross through Ghana’s Door of No Return. 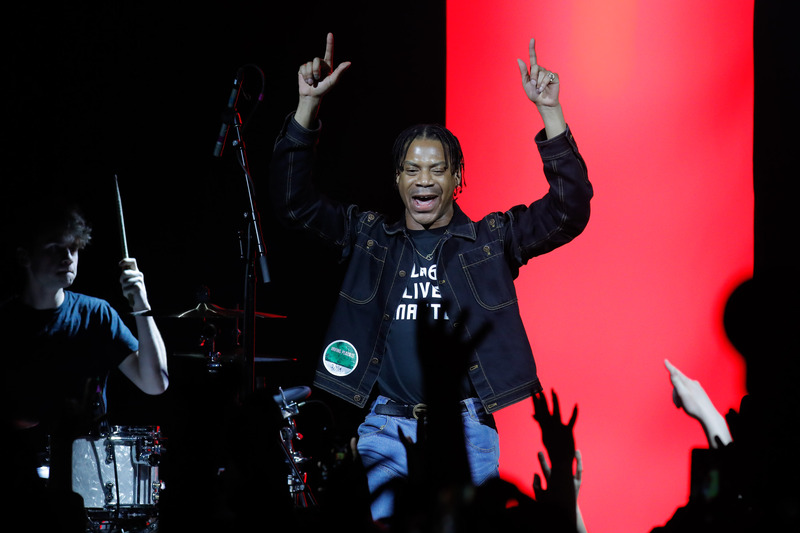 The brand, co-founded in 2012 by actress Rosario Dawson and Erwiah, a former Bottega Veneta marketing and communication executive, aims to push social change through fashion. Last year, Studio 189 won the CFDA + Lexus Fashion* Initiative prize, which provides funding for brands focusing on sustainability. Instead of walking down a runway, Studio 189 models stood in a line that ran the length of the catwalk Monday morning, kitted out in the batik prints and indigo-dyed wares for which the label is known. The results were twofold. Showgoers could get close and linger long enough to absorb the craftsmanship of the clothes and get a sense of the various weights and textures of the fabrics. But the arrangement also erased the traditional social hierarchy of a fashion show, in which who is seated and where can make just as significant a statement as the clothes themselves. 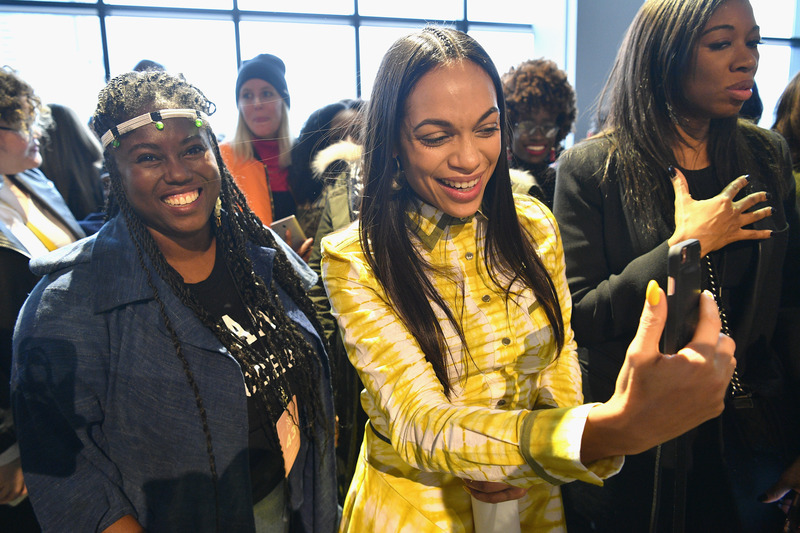 Designers Abrima Erwiah (left) and Rosario Dawson (center) attend the Studio 189 presentation during New York Fashion Week: The Shows at Gallery II at Spring Studios on Feb. 11 in New York. Studio 189’s presentation also included an installation on the provenance of the line’s clothes, tracing the supply chain from artisans in Ghana to the brand’s physical and online stores. Studio 189 has a physical store in New York and another in Ghana’s capital, Accra. The brand sources its indigo from Ghana, Burkina Faso and Mali, continuing long-established textile traditions established in West Africa. Models pose for the Studio 189 presentation during New York Fashion Week: The Shows at Gallery II at Spring Studios on Feb. 11 in New York City. Black. Queer. Street urchin. Punk. Telfar Clemens designs for the kids. 11:38 AMNEW YORK — Thursday night at Irving Plaza, the Manhattan music venue, had all the trappings of a typical punk show: plenty of ripped hems, safety pin earrings, tattoos, Doc Martens, Manic Panic multicolored hair, uncomfortable-looking piercings and unconventional makeup. The crowd was almost entirely black. It was actually a fashion show. Leave it to designer Telfar Clemens to once again upend the mold of just what a fashion show — a trade exhibition, first and foremost — can be. 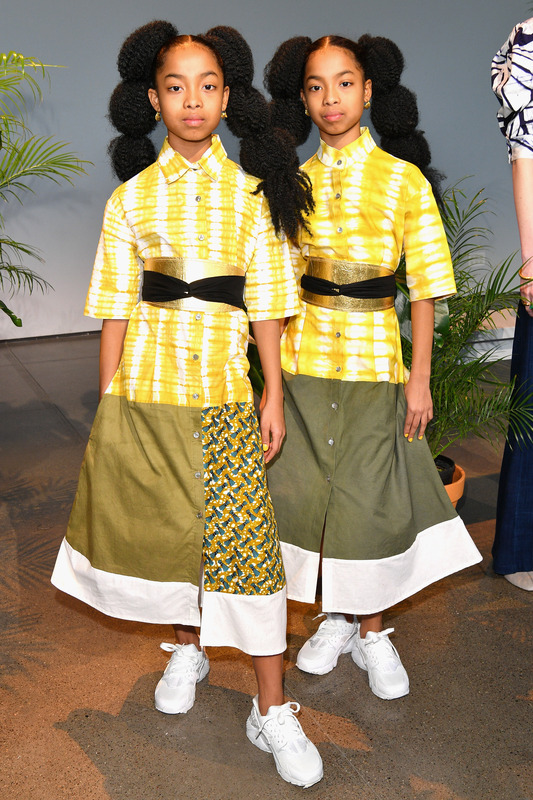 This year, Clemens debuted the fall/winter collection of his eponymous brand in a show created in collaboration with Slave Play and Daddy playwright Jeremy O. Harris. With all the sonic and atmospheric flourishes, the clothes were, frankly, the least important part of the show. Designer Telfar Clemens walks the runway at the Telfar Fall/Winter 2019 Collection on Feb. 7 in New York City. Rather than sending models down a traditional catwalk, Clemens sent his models lifted through a crowd that magically parted like an Afro whose sides have been divorced with the expert flick of a rattail comb. It was difficult to see the clothes, but Clemens’ message for “COUNTRY,” the name of this year’s show, was absolutely clear. The stage at Irving Plaza was framed with a hollowed-out American flag. The models were beckoned with the deafening sounds of trains — whistles and a chugga-chugga-chugga enhanced with the sort of bass one might expect from Hank Shocklee, conjuring associations with the Great Migration. With his wares presented, Clemens came onstage and threw himself, back first, to surf the crowd of adoring fans. The show concluded with performances from the hip-hop punk group Ho99o9 and Na-Kel Smith providing the soundtrack to a jumping, sweaty, testosterone-powered mosh pit, most immediately, but also to the untamed rage of a new, black punk rock generation. It, too, sings America.